Out of thousands of stocks that are currently traded on the market, it is difficult to determine those that can really generate strong returns. Hedge funds and institutional investors spend millions of dollars on analysts with MBAs and PhDs, who are industry experts and well connected to other industry and media insiders on top of that. Individual investors can piggyback the hedge funds employing these talents and can benefit from their vast resources and knowledge in that way. We analyze quarterly 13F filings of over 700 hedge funds and, by looking at the smart money sentiment that surrounds a stock, we can determine whether it has potential to beat the market over the long-term. 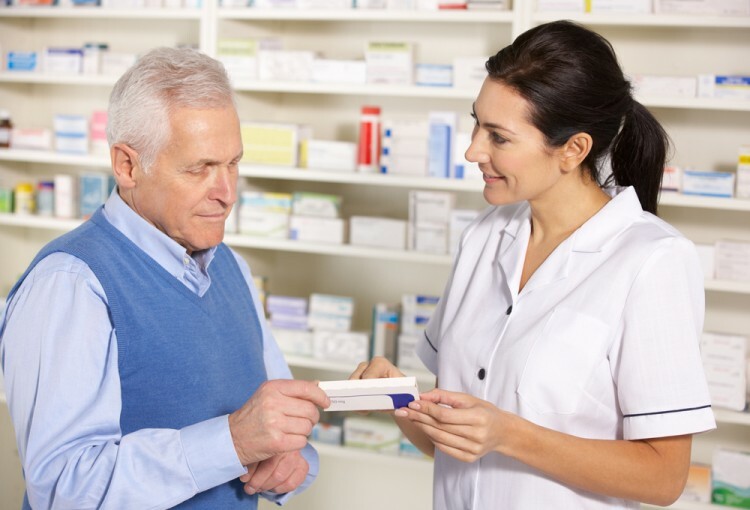 Therefore, let’s take a closer look at what smart money thinks about BioMarin Pharmaceutical Inc. (NASDAQ:BMRN) . BioMarin Pharmaceutical Inc. (NASDAQ:BMRN) was in 54 hedge funds’ portfolios at the end of the third quarter of 2016. 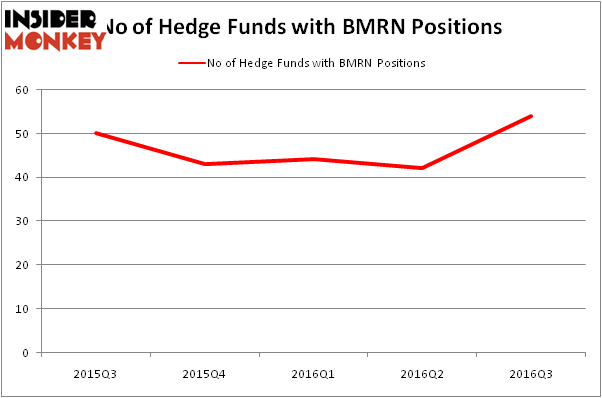 BMRN has seen an increase in hedge fund interest lately. There were 42 hedge funds in our database with BMRN holdings at the end of the previous quarter. The level and the change in hedge fund popularity aren’t the only variables you need to analyze to decipher hedge funds’ perspectives. A stock may witness a boost in popularity but it may still be less popular than similarly priced stocks. That’s why at the end of this article we will examine companies such as Vulcan Materials Company (NYSE:VMC), Smith & Nephew plc (ADR) (NYSE:SNN), and CenturyLink, Inc. (NYSE:CTL) to gather more data points. Keeping this in mind, we’re going to check out the key action encompassing BioMarin Pharmaceutical Inc. (NASDAQ:BMRN). At the end of the third quarter, a total of 54 of the hedge funds tracked by Insider Monkey were bullish on this stock, a boost of 29% from the previous quarter. By comparison, 43 hedge funds held shares or bullish call options in BMRN heading into this year. So, let’s examine which hedge funds were among the top holders of the stock and which hedge funds were making big moves. When looking at the institutional investors followed by Insider Monkey, Baker Bros. Advisors, led by Julian Baker and Felix Baker, holds the most valuable position in BioMarin Pharmaceutical Inc. (NASDAQ:BMRN). According to its latest 13F filing, the fund has a $444.7 million position in the stock, comprising 4% of its 13F portfolio. The second most bullish fund manager is Palo Alto Investors, led by William Leland Edwards, holding a $165.7 million position; 9.6% of its 13F portfolio is allocated to the company. Remaining members of the smart money that are bullish contain Samuel Isaly’s OrbiMed Advisors, Ken Griffin’s Citadel Investment Group and Doug Silverman and Alexander Klabin’s Senator Investment Group. We should note that none of these hedge funds are among our list of the 100 best performing hedge funds which is based on the performance of their 13F long positions in non-microcap stocks.